SikhNet Radio multi-channel service allows you to listen to Gurbani live from Gurdwaras around the world, as well as providing various programed Gurbani radio streams featuring all kinds of different Kirtan. Wether you are at your office, in your home or traveling in your car, you can tune in to the Gurus Bani through SikhNet Radio. More than 30,000 unique listeners each month from over 150 countries! Join SikhNet Radio and allow kirtan from your Gurdwara to be available live online! Where did the Sikhnet Radio channels go? When you use the Visible Channels filter above, we assume you only want to see the Gurdwara channels. If you want to see the Sikhnet Radio channels again, change the filter back to "All channels". Hear all different types of Gurbani music from hundreds of different musicians. 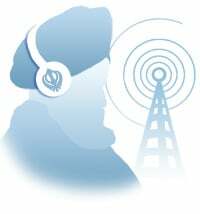 This is the original SikhNet Radio channel that is a mix of all styles of Gurbani Kirtan. Gurbani and other related music that is not the traditional Indian style. The music generally has a very "western" American flavor, with different styles of vocals and instruments. Listen to Gurbani that is sung in raag. Raag (Indian classical music) is a powerful and structured form of music using specific scales and notes. Almost all Gurbani has been written to raag but not always sung in raag. You can chant with this meditative repetition of Gods Name - Waheguru. The audio on this channel is meant for meditation & repetition of Vaheguru. Listen to all the old time Gurbani classics from the 1960's, 70's and 80's. This is a mix of Kirtan of recordings from back in the day. Children (AND Adults) of all faiths and religions will enjoy these stories of spiritual principles and consciousness. Stories highlighting universal values of helping others, compassion, prayer, courage, sharing, and the oneness of all people capture the hearts and imagination of children of all ages. Also checkout the full featured mobile app for the stories. Or see the individuals stories online. Live kirtan from Takhat Sachkhand Sri Hazur Abchalnagar Sahib, Nanded; the final home of Guru Gobind Singh Ji. Listen to Gurbani kirtan, Katha, Dhadi, Ladi Waar Sahej Path live every day from Gurdwara Dukh Nivaran Sahib. 24/7 days week. Daily Gurbani kirtan programs all day, live from Gurdwara Dasmesh Culture Center. Gurdwara managed by a team of local Sikh Youth and other experienced and long standing members of the Sikh community. Gurbani kirtan, live from Gurdwara San Jose. Daily Gurbani kirtan programs all day, live from Gurdwara Sahib Western Singh Sabha. Gurdwara managed by a team of local Sikh Youth and other experienced and long standing members of the Khalsa Diwan Society. Live Gurdwara broadcast a communities of Sikhs that hosts a large number of Sikhs from western background. Listen to the Live Gurdwara broadacast on Sundays, Akhand Path from Wed-Sat, and other events depending on the time of the year. The Gurudwara Singh Sabha of Washington in Renton, opened in 1993. It grew from a small wood-frame structure to now a 23,000 square foot building in 1997 and now serving approx. 50,000 Sikhs in the area. 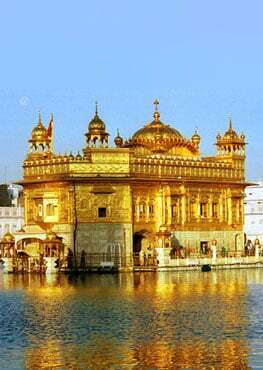 It serves as one of the main Gurudwaras in Washington State. Started in 2004, Sri Guru Singh Sabha Gurdwara, Derby has been striving to provide the youth and the greater community great resources to learn more about the Sikh faith. From projections of gurbani to computer rooms, all has been tried to be provided. A pressing need for a place of worship and communal service to cater for the needs of the community of Sikhs in Jersey City led to the setting up of "Nanak Naam Jahaj Gurdwara" in October 2008. The Gurudwara is conveniently located near "Indian Street" at Journal Square in Jersey City. Daily morning and evening Gurbani kirtan programs live from El Sobrante Gurdwara Sahib. Pacific Coast Khalsa Diwan Society (1912-2013) Stockton, California / Stockton Sikh Temple. Gurdwara Stockton is the first Gurdwara Sahib that was built to serve the Sikh Sangat living in the United States. The Gurdwara Sahib came into existence in 1912. Sri Guru Singh Sabha Canada, is a Sikh Gurdwara located in Mississauga, Ontario. The Gurdwara Sahib preaches the core sikh beliefs as bestowed by Sri Guru Granth Sahib Ji. The core values include universal peace, equality, truthful living and one God. The Sikh Temple Gurdwara of Sacramento at 2301 Evergreen Avenue - West Sacramento - CA 95691 is a place of worship for the majority of the Sikh population residing in the Greater Sacramento area. The Australian Sikh Association aims to set a high standard in serving the needs of the Sikh Community in Australia and aims to contribute to the wider Australian Society. Khalsa Care Foundation (KCF) started about five years ago and is a humble attempt to create an environment where activists can explore their potential. There is nothing special about the land or the location, but what makes this place special is the humble, hard working, and Guru-inspired sevadaars. We share this report in an attempt to hold ourselves accountable to continue to do more impactful Seva, to inspire other Gurdwaras to realize their potential, and to create a dialog for support to accomplish great things. Guru Nanak Dwara is a vibrant Sikh Gurdwara community in the heart of Phoenix, Arizona - USA. Founded as a spiritual village, this campus serves as the home for Sikhs from both east and west. Established in 1970 by Siri Singh Sahib Bhai Sahib Harbhajan Singh Khalsa Yogi Ji, it is the longest continuously-operated Gurdwara in the State of Arizona.